19 April 2006: Conventional wisdom holds that cities and metropolitan areas are powerless to deter immigrants from moving in. Evidence suggests otherwise. Between 1980 and 2000, the Los Angeles metropolitan area deflected nearly one million Mexican immigrants, legal and illegal, to other US cities. During that 20-year interval, the immigrant population in the United States increased from 14 million to 31 million, but the percentage of those immigrants living in the city of Los Angeles declined from 6.8 per cent to 4.9 per cent, according to US census data. That translates into 600,000 fewer immigrants in 2000 than would have resided here without the decrease. The same relative decline was evident in the five-county Los Angeles (LA) metropolitan area. The region's share of the US Mexican immigrant population in 1980 was 32 per cent; 20 years later, it was only 17 per cent  about 961,000 fewer Mexican immigrants living in LA, Ventura, Orange, San Bernardino and Riverside counties than otherwise would have. Why did a million Mexican immigrants bypass the LA region and settle elsewhere? Three factors were important: migration networks, market economics and tougher local regulation of slums and sweatshops. New immigrants like to settle with friends and family members who came earlier, so they tend to cluster in a few localities. Potential migrants back home remain in contact with those who have migrated, and when they decide to leave, follow them. That is why the LA region was home to 31 per cent of the nation's Mexican immigrants in 1980 but to only 5 per cent of the US population. But this kind of network-driven migration eventually caused economic hardship among Latino immigrants in LA’s migration networks routed ever more immigrant workers here, competition for low-wage jobs and affordable housing intensified. Wages fell, available jobs became scarce and rents rose, forcing some workers to leave the city. More important, many potential immigrants still living in Mexico or Central America decided not to come when the bad economic news reached them. These market dynamics cut the percentage of Latino immigrants living in the LA region by about half between 1980 and 2000. Public policy heightened the effects of these market forces. With wages falling, immigrant poverty increased, and officials sought to alleviate the situation. The unintended consequence of the resulting policy shifts made the LA region a less desirable destination for newly arrived immigrant workers. From 1980 to 2000, for instance, California's minimum wage steadily rose and was 12 per cent higher than its federal counterpart in 2000. The higher wage drove some employers out of California  and many took their largely immigrant workforces with them. 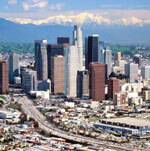 During the 1990s, LA began to enforce existing industrial laws more strictly than other major cities. The political catalyst for the crackdown was the 1995 discovery in El Monte of a garment factory in which dozens of Thai immigrant workers were exploited as virtual slaves. Working conditions in the local garment industry, a major employer of immigrants, came under scrutiny, and many garment firms either shut down or relocated to escape penalties. When these scofflaw firms shut down or left LA, the jobs vanished, and many of their low-wage employees went elsewhere  and potential ones, once news of the crackdown reached Mexico or Central America, probably avoided LA altogether. In addition, the combination of rising numbers of Latino immigrants and low wages created more and more slums across LA in the late 1980s. Mayors Tom Bradley and Richard Riordan each appointed a commission to investigate the problem. Authorities stepped up enforcement of existing anti-slum laws. Some tenements were shut down; others were forced to upgrade. The resulting decrease in supply of the cheapest housing stripped many low-wage immigrants of affordable shelter. Finally, ‘NIMBY movements’ successfully blocked the construction of affordable housing in many of LA's suburbs, which, in turn, drove up immigrants' rents in the central city. These public policies were neither consciously anti-immigrant nor coordinated by officials, but taken together, they deflected about one million Mexican immigrants away from the LA region. This story is more than just a curious episode in local history. It also offers some lessons for cities seeking to control levels of immigration. What LA accomplished unintentionally, other metropolitan areas can do by design. If more cities and states raised their minimum wages above the federal level and strictly enforced industrial safety laws and housing standards, this not only would improve conditions for resident workers but would also deflect new immigrants elsewhere. The overall number of immigrants entering the US would not decline. But new immigrants would head for destinations where employers don't fear labor-law enforcement, where slums are tolerated and where the minimum wage is lower. This dispersion would tend to equalize the burden of absorbing immigrants across the US, creating political interest in controlling immigration where there previously was none. LA's experience may even have implications for US immigration policy. Surely, an approach to immigration control that simply tolerated fewer sweatshops and slums and hiked the federal minimum wage would be cheaper  and more neighborly  than building a 2,000-mile security fence, militarizing the border or issuing a national identity card. Short of federal intervention, the LA example shows that states and cities have the policy tools to deflect low-wage immigrants heading their way. *The information for this article is drawn from Professor Light's book: Deflecting Immigration: Networks, Markets, and Regulation in Los Angeles. New York: Russell Sage, 2006. 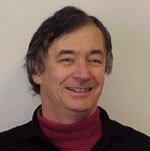 Ivan Light is professor of sociology at the University of California, Los Angeles (UCLA). He is the author of numerous articles and of six books on immigration, entrepreneurs, and urban sociology. His earliest book is Ethnic Enterprise in America (University of California, 1972). The next book, Cities in World Perspective (Macmillan, 1983) is a comparative and historical treatment of urban societies around the world. His next two books were Immigrant Entrepreneurs: Koreans in Los Angeles (University of California, 1988; in collaboration with Edna Bonacich), and Immigration and Entrepreneurship (Transactions Publishers, 1993; in collaboration with Parminder Bhachu). There followed Race, Ethnicity and Entrepreneurship in Urban America (Aldine de Gruyter, 1995; in collaboration with Carolyn Rosenstein). Co-edited with Richard Isralowitz, is Immigrant Entrepreneurs and Immigrant Absorption in the United States and Israel (Avebury, 1997) brings together articles that compare Israel and the USA as immigrant-reception societies. His latest book is Ethnic Economies (Academic, 2000), which is co-authored with Steven Gold. Ivan Light's recent journal publications examine globalization, transnationalism, and immigration. These journal publications are in the process of revision and synthesis for a new book tentatively entitled, "Globalization and Migration Networks." Very broadly, that book has two purposes: (1) to sort out what type and volume of migration is attributable to globalization and what to migration networks; (2) to amplify existing theory of migration networks. Present position: Professor of Sociology, University of California at Los Angeles.